I couldn't have had a better experience selling my house than with the help of Kevin and Sharon. Their suggestions were helpful and appropriate and they were knowledgeable about the entire process. I was kept up to date regarding showings and feedback was received on a weekly basis. They were very responsive when I had questions. I would gladly recommend them based on my positive experience. We want to thank you for everything you both did for us to make selling our Old Saybrook home a smooth transition. As you know, we love Old Saybrook, and Diane had a particularly difficult time leaving our wonderful neighborhood. You both understood our needs and worked tirelessly to make us comfortable with the selling process, clients visiting our home, and the closing procedure. We had researched prospective Realtors to handle the sale of our home, and we decided to contact Sharon and Kevin because they had negotiated a sale of one of our neighbor's homes. They spoke so highly of Kennedy Solutions, we just had to call. This was our lucky day!! Sharon and Kevin could not have been more gracious, professional, and knowledgeable. We felt the Kennedys’ gave us excellent advice about showing our home and listing it at a price point with which we were comfortable. We felt the process was about us and not their financial gain. Words cannot express our gratitude to Sharon and Kevin for their professional partnership with us in selling our home. Thank you!! We initially tried to sell our home using a part-time realtor, with no success. When we got serious, we researched success rates and found the Kennedy's to be among the best in our area.Our house was not an easy sell: one of the largest in the neighborhood, and uniquely suited to a large family. Sharon and Kevin gave us the right advice about how to list, show, and negotiate the eventual sale.We always felt we were getting professional advice, acting in partnership with the Kennedy's to find the right offer and closing the deal. Thanks again Sharon and Kevin! Working with Sharon & Kevin Kennedy proved to be one of the best decisions we could have made. They represented us in two transactions, the sale of our family home of 18 years and the purchase of a "fixer upper” that we had our eyes on. Their professionalism, knowledge, level of attention, and sensitivity proved to make a particularly complex series of transactions run virtually seamlessly. We always felt that they had our best interest at heart. They are acutely aware of the local market and extremely sensitive to the needs of their customers. We would highly recommend this wonderful and professional team. Kevin has represented me through the purchase and sale of several properties. I have relied on his analysis of the state and local market place and his marketing and pricing strategies to successfully conclude these sales. Kevin is always looking for unique ways to position a property to enhance is saleability and is a very strong advocate for buyers making sure that he researches and presents all potential options to help realize hi client's goals. Kevin and Sharon are the types of Real Estate Agents that you hope to find. Knowledgeable, dedicated, hard-working and very personable. When you're at the closing table, you know that you got the best deal possible and they earned their commission advocating for you. Because of an excellent recommendation by a friend of ours, we decided to meet with Kevin Kennedy about handling the sale of our home in Old Saybrook. Once we spoke with Kevin we saw that he was a man of integrity and a man with concern for our needs in the sale of our home. We were very impressed with his patience and attention to details. He was very agreeable and flexible in understanding our needs and we were convinced that he would make every effort to sell our home as quickly as possible. We were thrilled with his photographic skills and how he presented our home in a very positive way. Our home sold in 2 weeks at the exact price we needed! 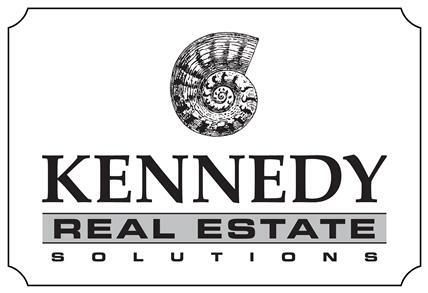 We would highly recommend Kennedy Real Estate Solutions for all your real estate needs. My husband and I were fortunate to encounter Kevin and Sharon during our home search and ultimately contracted with them to represent us. What stood out most to me was how calm and positive Kevin remained through every stressful juncture. He helped us navigate critical decision points by drawing upon his experiences and presenting different options. At no point did we ever feel pressured by him and he helped us stay true to our initial "wish list." His timely communication and responsiveness made us feel like we were his only client. Sharon & Kevin, I just wanted to say thank you for your assistance in selling the Heritage Cove condo. I was impressed at how quickly you got it listed, your attention to the smallest details and that you kept us constantly informed as the listing and sale proceeded. I would not hesitate to recommend you to anyone seeking a listing agent. Kevin and Sharon, I wish to thank you for the exceptional work you did on the sale of Dad's home. The process was timely and professional and will allow us to close Dad's estate. I will be very pleased to personally recommend you as excellent real estate agents. Kevin and Sharon Kennedy of Kennedy Real Estate Solutions helped me sell our family home after my Mother's death. Needless to say, this was a difficult and stressful time, compounded by my living 400+ miles away. The Kennedy's provided excellent service throughout the process. They helped me with the listing and all its paperwork and were realistic in their opinion of the property's value, so I had no false expectations. They guided me through the offer and acceptance process, helped find local trades people to make required repairs, and did a fantastic job keeping someone so far away informed on the progress being made and what needed to be done next. On a personal level, I so admire the Kennedy's high level of personal honesty and integrity. They really did live up to their company's name. Solutions are what they provided throughout the entire process, I would highly and enthusiastically recommend them to anyone seeking a realtor in the shoreline area. I can't thank them enough for their help. I would like to say that it was a pleasure working with Kevin and Sharon to sell my house in this rather frustrating housing market. They suggested and pushed but never prodded and were sympathetic to my views. They were always available and prompt with solutions to the few issues that came up. It was a good experience working with both of Sharon and Kevin and I would be happy to recommend you. Thanks! When I decided to sell my nice little home by the creek, I realized would need help! A friend told me about Sharon and Kevin, and their help in the sale of his parents home. Just what I needed. People who cared, and who really worked at their job , and even seemed to love doing it. ! It all went well, and I can look back on a happy relationship with the Kennedys' and a good experience. Kevin Kennedy was recommended to me by a friend at work that had nothing but good things to say about him. Because of the raving from my friend I decided to give Kevin a call when I decided I wanted to buy my first home. Kevin was there through every step and every bump. He answered all questions clearly and quickly, and was available via phone and/or email 7 days a week! He is an amazingly patient person (believe me, I tested it many times) who just wants you to be happy and comfortable in a new home. He is a great Realtor and he makes you feel like you are his only client. I recommend him to anyone looking for a new place to live! Renting or buying. Condo or house. Doesn’t matter! He will take great care of you! Awesome!! There are no other words to describe Sharon and Kevin Kennedy from Kennedy Real Estate Solutions. When it became clear that we had to sell our house we put out the word and then interviewed several corporate real estate firms to supply us with an evaluation. While all of them responded with roughly the same numbers it was the independent Kennedy’s sense of calm and can do attitude, two attributes of value in the current housing environment, that won us over. From day one until the day of the closing they were nothing more then the consummate professionals you would expect and desire. However, the added quality of veracious sincerity, trustworthiness, assertiveness and motivation is unequaled in a business often wrought with the opposite. It was greatly appreciated and admired. Sharon and Kevin throughout the entire process made us feel as though we were their only clients. They never waivered in enthusiasm and championed selflessly on our behalf for our specific needs but advised KINDLY when we were less then amiable. Sharon and Kevin each possess distinct strengths and proficiency And what appeared seamlessly intuitive, they tag team each other at the right moment with the right skill in order to get things done. We felt often, we were getting two agents for the price of one. From soup to nuts and a few dozen eggs, they made it happen. We will be forever grateful for there expertise but mostly their humanity and understanding. Our only regret is that we won’t be able to use them for our next purchase as we have left the area. If you are thinking of using them to represent you, we can’t say it anymore clearly then this: Go get ‘em! Thank you for the assistance you have provided our family. We first turned to Kevin to assist when our father passed away nearly 7 years ago. Kevin generously donated his resources to assist my surviving mother. His kindness and generosity really resonated with us. When our mother passed away last year, without hesitation we searched out Kevin and Sharon to help us sell our family’s life long home. Kevin and Sharon’s personal and professional direction clearly navigated us to our best solution. On behalf of our family, I can assure you that Kevin and Sharon will find that successful solution for you, too!We wish Kevin and Sharon their continued success. The assistance that Kevin and Sharon provided in selling our home was invaluable. Specifically, Kevin provided calm advice throughout a process that suddenly became very difficult through no fault of ours, and that helped us to complete our transaction. Of the people I'm most grateful for this past year, Kevin and Sharon Kennedy are at the top of the list. I needed to sell my house this summer as part of a complicated and challenging transition in lifestyle. Kevin & Sharon offered a caring, savvy presence that got me through it all. With their thorough knowledge of the local market they gave me excellent guidance. Always treating me with respect, they listened to my goals and fears. They gave straight-up advice about what was possible and what was probably not possible. The end result was a quick sale of my home for price that met my goals. Kevin was the voice of calm and reason which quelled my fears during this confusing storm in life. Rich and I are happy to give Kevin and Sharon a huge recommendation. Their online information was superb with deion, pictures and a virtual tour. Their feedback was prompt after showings. After receiving the offer, we were surprised at how quickly negotiations were reached. We knew during the whole process of listing and selling that we definitely had the right Realtors to market our home. Thank you.